A bright, 4th floor, studio unit for sale at Regent Home 4, Sukhumvit Soi 85, within walking distance of On Nut BTS. 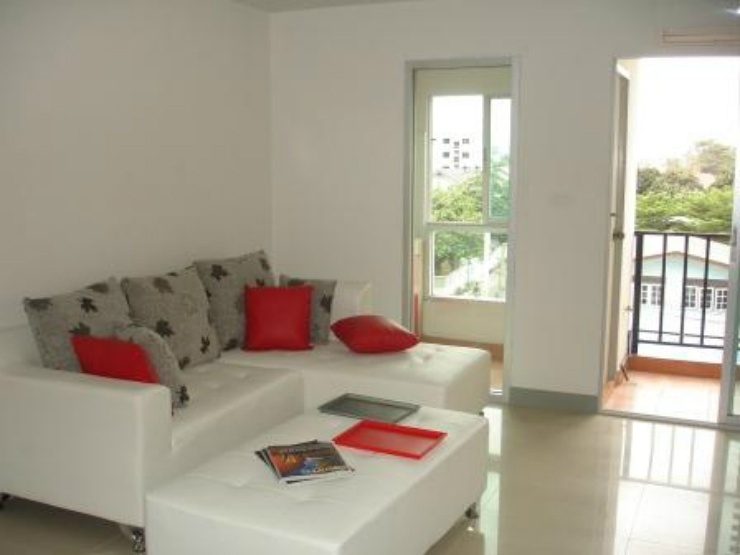 The Regent Home 4 studio is furnished and clear, un-blocked city views down to Sukhumvit Road. The studio has a king size bed, 2 double wardrobe, is fully air conditioned, 3 seater sofa, refrigerator and microwave. The fitted kitchen is separate. This studio unit is a couple of minutes motorbike taxi ride (10 Baht) to On Nut BTS and Tesco Lotus. These are also within walking distance. The Regent Home 4 development has its own mini mart, internet shop and salon,laundry shop and an ATM. All Taxes and Transfers at the Land Department will be paid 50/50 by the owner and the buyer. Maintenance charges are about 7,000 Baht a year. This studio unit is currently held under the “Foreign Quota” so purchase by a non Thai national will not be a problem. A 10% deposit is required when signing the contract (Negotiable). Maintenance charges are about 7,000 Baht a year. This studio unit is currently held under the "Foreign Quota" so purchase by a non Thai national will not be a problem. Regent Home 4 is a condominium project, located off Sukhumvit 85 near On Nut BTS. Construction of Regent Home 4 was completed in 2010 and comprises of 2 buildings, each with 8 floors and includes 404 studio unit.